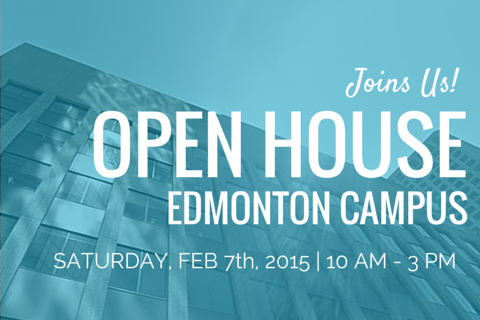 This Saturday, February 7th is the Open House at our Edmonton Campus. Bring your family and friends and discover what Robertson College has to offer! Drop in anytime between 10:00 am - 3:00 pm to gain insight on the career programs we offer and learn more about the opportunities available to you in Health Care and Business in Edmonton and surrounding areas. You will have the chance to speak with our Career Counsellors, Financial Aid Officers and explore the facility and the services we offer here at our campus. We hope to see you this Saturday! If you have any questions about this event, feel free to contact us at 587.408.3168 or visit robertsoncollege.com for more information.